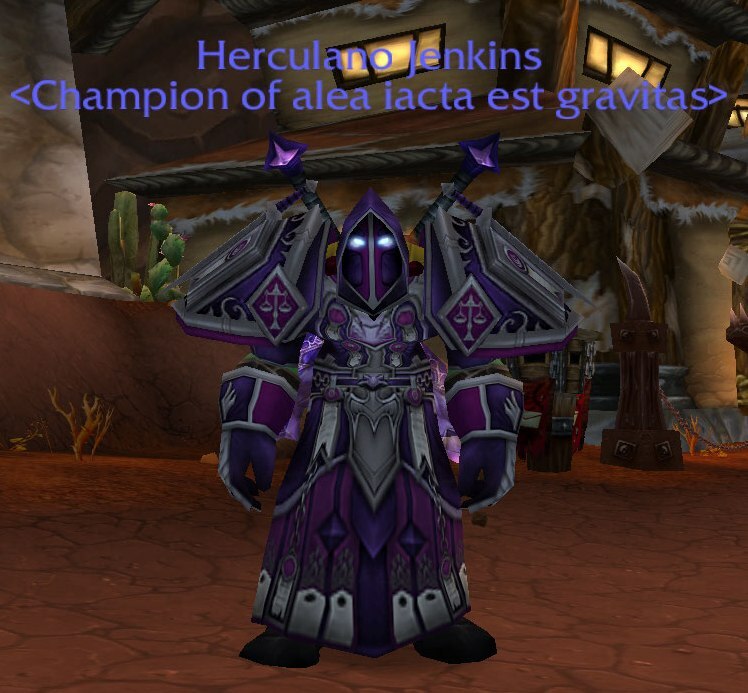 I guess I picked this Judgement armor because it looked like a super hero costume. Like Spider-Man with knives on his shoulders. 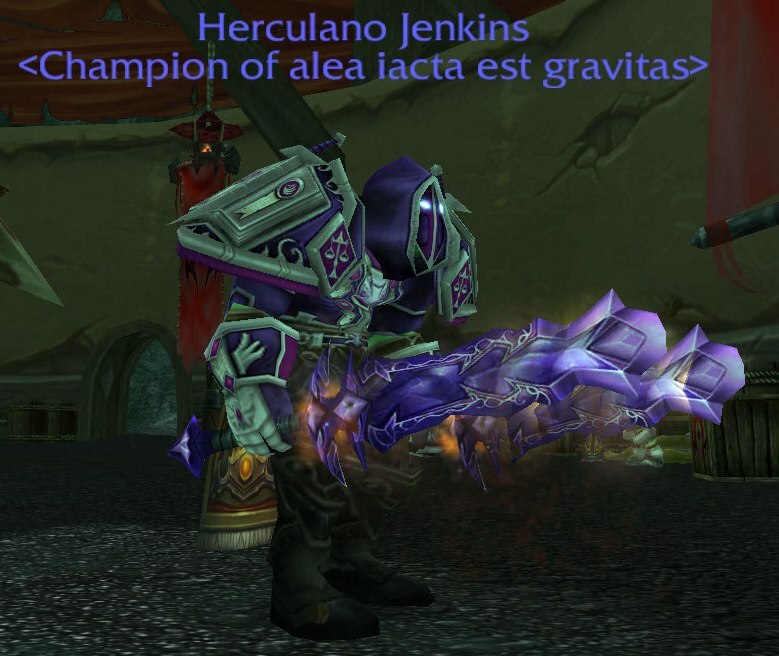 But whatever, it’s Outland Heroic dungeons which means lockout, which means it takes some time to assemble the gear. 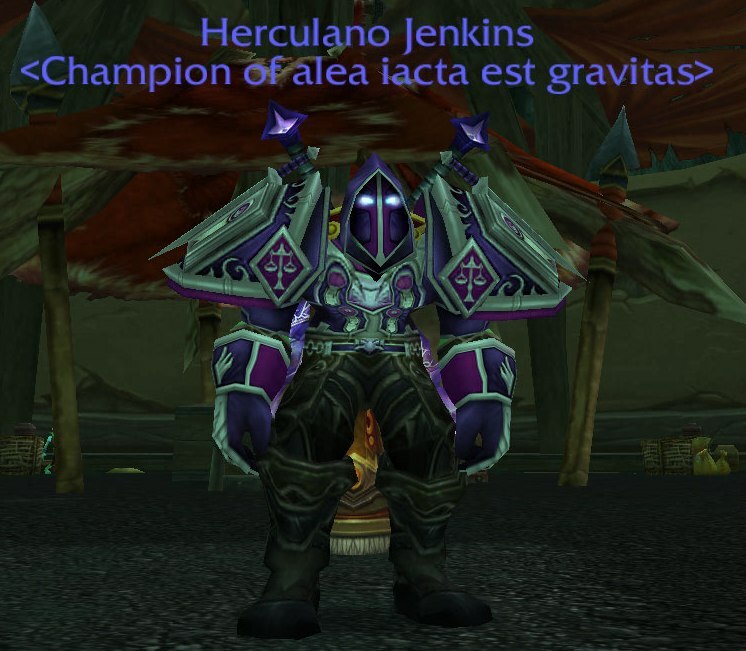 and what you end up with is what all the cool orcs are going to be wearing this year. Herc makes this look good. 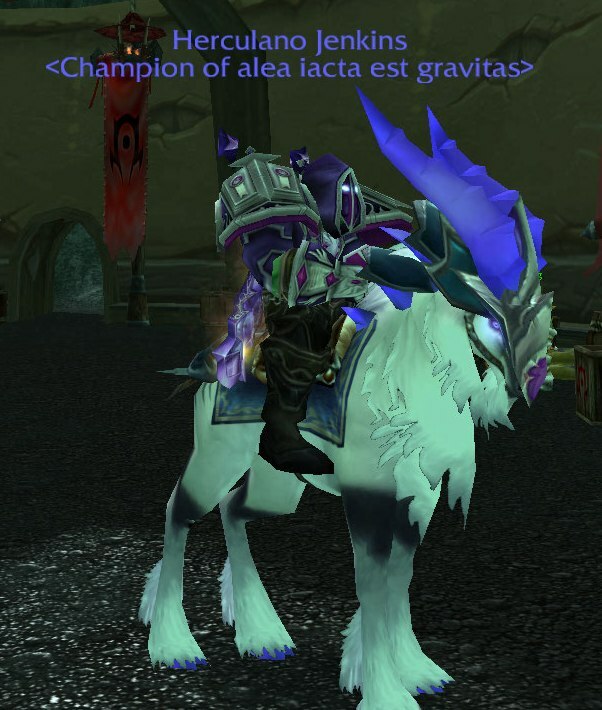 Posted on January 6, 2012, in Blog and tagged Gear, Mount, Purples, Transmog. Bookmark the permalink. Comments Off on It’s All About The Purples.